This is Adam Fellows. Its time for my big 40th birthday. 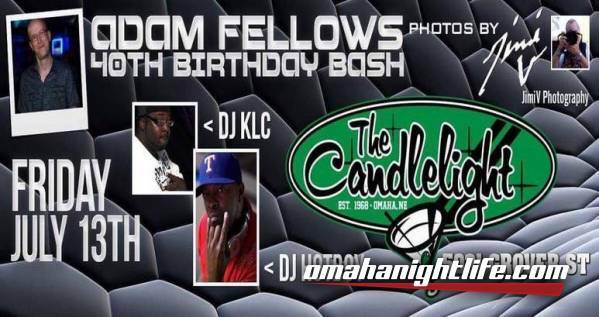 It goes down Friday night July 13, 2018 from 8pm-2am at Candlelight Lounge 5031 Grover St. Omaha, NE. The 2 best DJ's in the city will be spinning from 10pm-2am DJ KLC and DJ Hotboy. Plus JimiV will be capturing all the moments. Join me in all the fun for my big 40th birthday.